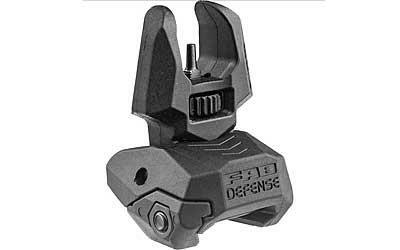 The Mako Fab Defense Folding Backup Front Sight is designed for AR-15 based weapons. The flip-up sight is made from a high-grade polymer and metal construction so it is lightweight and has a low profile design. The sight can be easily deployed due to the ambidextrous controls. The sight is finger-adjustable for elevation. Mounts to a MIL-STD-1913 Picatinny rail. Comes with a lifetime replacement guarantee!